Below are 10 myths about back pain I hear repeatedly in practice. 1. A chiropractor will make you worse. I’ll be honest, not every chiropractor is good. As with any profession, there are people that are great and those that aren’t. However, there is nothing dangerous, risky or irreversible in a chiropractic treatment that poses any danger to making your back pain worse. Personally I take the time to listen to my patients, thoroughly examine them, explain my findings and then provide excellent adjustments. In my 9 ½ year career I’ve had no instances of making anyone worse and have created results that speak for themselves. 2. It’ll go away on its own. In my experience, very few back issues go away on their own. Much like a rattle in your car is not likely to resolve itself, your back pain isn’t either. It’s better to address it when it occurs and get it fixed before it becomes more problematic. 3. It’s just muscular. As a general rule if your back pain begins and resolves within 48-72 hours it was likely a muscular strain. If your pain progresses past that point though it’s probable that strain has caused structures such as vertebrae and discs to become involved which will then aggravate your nerves causing prolonged pain and dysfunction. 4. There is an instant cure for back pain. I’ve certainly had large numbers of patients leave my office pain-free after a single visit. However, it is common for it to take multiple treatments. Much like 1 workout cannot remove years of weight gain, there is no treatment (chiropractic or otherwise) than can instantly undo years of spinal neglect and/or injury. 5. You need surgery. 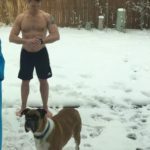 A surgeon friend of mine sums it up best , “surgeries can me a miracle when necessary but are intended to be a last resort after all natural options have been exhausted.” I’ve known many people that have rushed into surgeries only to be left in pain, frustrated and with fewer options afterwards. 6. Back pain is always “serious.” Back pain can come from something as simple as a single vertebra being misaligned or something as complicated as stage 4 cancers. Interestingly, things such as misalignments and spasms that are highly correctable often cause the most pain while cancer and other serious diseases often affect the spine immensely but cause little to no pain until later stages. Just because you have back pain does not mean something ominous is occurring. 7. There is one cause for all back pain. There is not one single cause for all back pain. Rather, it is a combination of muscles, spinal structures and nerves reacting to the stresses we put upon them from our daily activities and habits that causes back pain. 8. Medication cures back pain. No one wants to be in pain and I don’t fault people for using pain medication. However, back pain is structural in nature (involves the spine, nerves, etc) and no chemical can cure that. Unfortunately pain medications carry serious implications to many of our organs and thus should be used sparingly wherever possible in favor of things designed to cure the problem rather than cover it. 9. You will instantly experience pain if there is a problem with your back. The spine often takes months or years of misalignment, degeneration and/or stress to start causing pain. I see people daily that have begun having back pain without any recent injuries. This is because the spine is capable of absorbing a lot of physical stress over a long period of time but at some point it reaches a point where it says “no more” and you begin having pain. Worst of all that pain often begins with something simple like getting dressed or bending over. 10. There is only one cure for back pain. As a chiropractic patient and chiropractor I can obviously attest to the effectiveness of adjustments in relieving and curing back pain. However, I know talented acupuncturists, massage therapists and exercise specialists (just to name a few) that also get great results in this regard. Depending on the cause of your back pain one thing may work better than the rest or they may all be effective. Dr. Kenney has won multiple awards for “Best Chiropractor” and specializes in helping patients achieve their goals of better health and pain relief. For more information please visit www.NewBodyChiro.com, find us on Facebook (New Body Chiropractic & Wellness Center) or call (303) 347-9906. Below are some of my favorite lessons that I’ve learned while competing in various races over the past 5 years that I feel translate well to everyday life. 1. Feed the beast. People that know me know I love this phrase. Within most of us is a desire to compete and an energy that should be directed toward fulfilling a goal. I began competing in serious races in 2011 after not competing in anything for nearly 15 years. After my first race it was like a switch had been flipped and I’d been reborn. That single race helped put me on a path to enormous progress both personally and professionally. 2. Adversity will come, deal with it. Life, much like a competition can throw you curveballs. I did a race years ago that required me to be in 32 degree water for nearly 5 minutes while a snow maker blew snow in my face. I had never been cold like that, it made my brain seem to stop working. It briefly made me almost want to quit before thinking “this will pass, I can get through it.” Whenever things are thrown at me unexpectedly I think back to times like that and it relaxes me because I know I can deal with anything. 3. Stay humble. A couple years ago after a break from competing I entered my first race in Colorado, a local 5K. I went in confident with a lot of serious races under my belt but the combination of hills, altitude, a sprained ankle and getting passed by 12 year olds quickly reminded me to stay humble and not look past anything. 4. Enjoy the process. I’ve done difficult races that have pushed my limits. Even if/when I’m struggling, I always try to enjoy what I’m going through. As a result, I’ve come to believe that the times we cherish most are not when things are easy but when we are battling to find our way or reach a goal. 5. Don’t feel sorry for yourself. Last year I ran World’s Toughest Mudder, a 24 hour obstacle course race. At 4:30 in the morning I was in my 18th hour of competing, on no sleep and continuing to battle the affects of hypothermia. As I went out for another lap I ran past a someone enduring all the same conditions as me but running on a prosthetic leg. That reminded me never to feel sorry for myself because someone will always have it tougher. 6. Your mind is powerful. We all give the body great credit for how strong it can be but the mind is far more powerful. I’ve run races where I’ve told myself how great I feel and sure enough I run fast. In rare instances I’ve been hard on myself during a race and inevitably it slows me down. Wherever your mind goes your body will follow so make sure it’s some place great. 7. Make it fun. Last weekend my two sons asked to run a 5K race at ages 5 and 8 respectively. I expected them to walk most of the way due to inexperience and age. Instead, they both ran the entire way and fast. I believe that was because to them it was just fun, there was no pressure or worry. I think that is a good lesson for all of us to not make everything so serious. 8. Find an excuse…to keep going. I have run races where I’ve felt amazing and others where I felt like I was pulling a train. The days when you don’t have “it” are a struggle and will be the times you badly want to quit. Instead of giving up, find an excuse to keep going –any reason at all. You will be amazed at what kind of personal growth that brings you. 9. Live in the present. I ran a race earlier this year that was supposed to be 31 miles. On mile 29 I was informed that due to a mistake the race would instead be 35 miles. I was on fumes at that point but stayed in the present and didn’t let it bother me. Remaining in the presents helps you maintain focus on your goals and avoid becoming overwhelmed. Dr. Kenney has won multiple awards for “Best Chiropractor” and specializes in motivating and helping patients achieve their goals of better health and pain relief. For more information please visit www.NewBodyChiro.com, find us on Facebook (New Body Chiropractic & Wellness Center) or call (303) 347-9906. As a chiropractor and athlete myself, I regularly treat and interact with people that compete in a multitude of sports. Today I’m sharing 5 common traits among athletes I think we should all embrace to improve our health and quality of life. 1. “Be bulletproof.” This is my term for preventing injuries. Many factors play into the avoidance of injuries but the ones I feel are most important are: varying your workouts, getting different types of exercise (cardiovascular, weights, yoga, etc), stretching and getting enough recovery sleep (7 hours minimum). I also recommend receiving holistic checkups such as chiropractic adjustments (every pro team has a chiropractor for a reason! ), acupuncture and/or massage. Remember, the human body, much like a sports car is designed for high performance. Don’t allow a lack of preventative maintenance to turn your Porsche into a garage-bound piece of junk. 2. “Don’t put sugar in your gas tank.” You would never think of putting anything other than the proper fuel into your gas tank for fear that your vehicle would break down. The same analogy applies to what you eat and drink. If you want to be healthy, pain-free, performing well and feeling great than you should seek to put only the best things possible into your body. I’d recommend decreasing/eliminating alcohol, sugary drinks, sugar, white flour, artificial ingredients and any medications you don’t ABSOLUTELY need. Next I would increase water intake, fruits, vegetables, protein source, and healthy fats and make sure to take a good multivitamin/mineral. 3. “Challenge yourself.” I read once that the difference between a jogger and a runner is the signature on a race application. Whether it’s physical activities, your job or personal life it is imperative that you constantly challenge yourself. That means different things to each of us. Personally I sign up for increasingly difficult races, publicly speak regularly (this was unthinkable for me years ago) and spend many hours analyzing my business and implementing strategies that lead to growth. 4. “Get comfortable being uncomfortable.” One thing I’ve found that athletes understand better than most is that regardless of how great you are, how much you’ve prepped or how amazing your intentions may be; sometimes stuff is just not going to go your way. These instances are NOT failures but rather opportunities to make you more resilient. For example, I ran a race last weekend and felt great going in but within a couple miles my tank was on empty and it was a struggle. No matter what I tried I just couldn’t get things going like I normally do. Midway through the race I just accepted that it was a “grind it out” type of day. I wasn’t thrilled with my finishing time but refusing to quit when I was exhausted and hurting was satisfying. Feelings like that help me deal with adversities that confront me in my personal and business life. The difficulties in your life are ultimately what will help you grow as a person. 5. “There is no secret sauce.” Our country has an obsession with quick fixes. Unfortunately when it comes to your health, there really aren’t any. Learn from trial and error, take baby steps, set goals both short and long term, learn from people with more experience and embrace consistency. You won’t win the war overnight but you’ll start winning the battles that lead you there. As a doctor I see people of all ages. What has always interested me is how certain people have the health and vitality of people far younger. Conversely, many younger people I encounter often look and feel decades older. Today I’d like to share my favorite tips for anti-aging I’ve found successful for myself and patients. 1. Addition by subtraction. Want to instantly feel better? Start by getting rid of as much of the following ingredients as possible (but be aware our country puts this junk in everything): hydrogenated or partially hydrogenated oils, high fructose corn syrup, artificial sweeteners (aspartame/Equal, sucralose/Splenda, saccharine/Sweet N Low, acesulfame-K), food dyes, white sugar and white flour. 2. Eat clean. There’s nothing wrong with enjoying food that’s not super healthy now and again, however the majority of your diet should be clean. I recommend multiple servings of fruits and veggies, healthy fats (nuts, avocados, seeds, oils, etc), beans and proteins raised without antibiotics or hormones. Eat more fresh foods and fewer foods in boxes or bags. 4. Decrease or eliminate alcohol. Alcohol decreases metabolism, disrupts hormone production and ages skin at an accelerated rate. Eliminate as much as possible and you’ll look and feel far younger. 5. Increase nutrient intake. There is little to no chance you’re getting all the nutrients you need from food. I recommend adding in a whole food multi-vitamin, vitamin D (especially during the fall and winter), antioxidants and fish oil supplements. 6. Sleep at least 6 hours. One of the most important anti-aging hormones is growth hormone which is stimulated and released during sleep. Make sure to get at least 6 hours of restful sleep per night. I also recommend sleeping in as close to total darkness as possible. 7. Challenge your brain. If you don’t use it, you lose it. Stimulate your mind through problem solving, overcoming challenges, reading and other activities that will keep it sharp and performing maximally. 8. Get proactive, holistic care. Medical checkups are designed mainly to identify problems, not prevent new ones. Holistic care is designed to help you avoid future problems while maximizing your health and well being in the present. In addition to your yearly physicals I would recommend some combination of chiropractic care, acupuncture and massage therapy. This probably sounds like a shameless plug (and it kind of is) but the healthiest people I encounter continue to utilize these forms of care to look and feel younger. We all define and envision success differently. I believe it’s simply about progressing toward the things we want most in life more so than any certain dollar figure or status. Today I’d like to share 5 questions I think we need to ask ourselves in order to be successful. 1. Will it make the boat go faster? There is a book with this title about an Olympic rowing team determined to win gold. They were so focused on their goal that in the lead up to the games they would ask themselves this question before anything they did – what they ate, how they trained, how they spent their time, etc. If it helped them toward their goal they did it, if not they didn’t. Use this same mentality for your own goals – pursue only the things that will guide you toward what you want. 2. Are you singing it or bringing it? People that are constantly talking a good game, avoiding action, procrastinating and making excuses are examples of “singing it.” These people are usually mostly interested in making themselves feel better rather than achieving a goal. Conversely, those that are focused on taking action, coming up with new ideas and making things happen are full of substance. They’re “bringing it” because they’re focused on getting somewhere. Regardless of what you’re after – don’t sing it, bring it. 3. What can be thrown overboard? As humans we create excuses for ourselves – we’re too old, too fat, too tired, too broke, whatever. Sadly, it’s often these excuses that prevent us from making progress. Figure out your 3 most common excuses and then get rid of them so that you stop halting your own progress. You’ll be amazed at what will follow. 4. Am I going pro or staying amateur? A business man I respect greatly always says “school is never out for the pro.” This means that if you’re truly hungry for something you will continue to learn everything you can about it. That knowledge helps you to continuously improve. An amateur on the other hand fails to do the work and simply hopes good things will happen. 5. Am I taking enough chances? Throughout history, many of the most successful people have had to go against the crowd and take risks in order to achieve their dreams. There is a time and place for playing it safe but if you’re after something big, you’ll need to get comfortable with taking some swings, some of which will miss. The person with the most guts does not always win but the person with none never does. 1. Don’t hit snooze. By waking up early you are controlling the day and not allowing it to control you. As an experiment, wake up 30-60 minutes earlier than normal and watch how much better your day unfolds without the chaos of having things timed down to the second with your kids, commute, etc. 2. Always eat breakfast. Skipping breakfast is like driving your car without gas and is a near certainty to have you wandering the kitchen at night ready to go overboard on bad food. Find something quick and healthy for breakfast each morning to kick start your body. Personally, I, begin every day with a shake containing protein, greens such as spinach, celery and/or kale (they’re tasteless in shakes), fruit and healthy fat such as almond butter. 3. Dress to impress yourself. A big part of confidence comes from how we feel about our own appearance. You don’t need to be in a suit or full makeup to leave the house for coffee but spend enough time so that you feel comfortable and project confidence. 4. Exercise. Working out will not drain your energy, it will only create more. Even a brief workout of some kind will help you stay fit, keep your energy high and help maintain sharper focus. 5. Get pumped up. We all draw inspiration from different things. Regardless of the source however, being motivated and enthusiastic will power you in everything you do. I get a lot of my daily passion from interacting with my sons, reading books and watching Youtube clips. 6. To do lists. Writing things down keeps you accountable. Start each day by jotting down anything you need to get done – things as small as a phone call to something that may take weeks to complete. At the end of the day look back at your list, see what has been crossed off and you’ll know instantly how productive you’ve been. 7. Preparation. Make sure you’re ABSOLUTELY ready for whatever lies ahead of you that day. For example, before leaving the house each day I make sure I have what I need for the gym/running, food to eat and whatever I need for business meetings so that I’m not left bored, hungry or ill-equipped. 8. Prioritize. Tuning out distractions is crucial to success. Pay attention to how much time you spend on things like Facebook or email. Then alter those habits and watch how much more you get done. 9. Connect regularly. The majority of successful people have a trusted network of friends and colleagues they rely upon. A business colleague of mine taught me to have daily “outflows” – messages, notes or follow ups with members of my network. Doing this reminds people they matter to you and you’ll be amazed at the impact it has. 10. Schedule time for yourself. We all need time to decompress. Within each day you should have at least a small period of time where you get to unwind and recharge. This is different for everyone but crucial for us all. 10 ways to avoid being “THAT GUY”! In my younger years back in Boston we had a term for someone that behaved in such a way that it ruined the enjoyment of those around them. There was no worse feeling than to have someone tell you after a night out that you had been “that guy” (allegedly this may have been me a time or two). Today, I’ll discuss examples of being “that guy” (or gal) in daily life that you’ll want to avoid – either in yourself or in the company you keep. 1. “Excuse guy.” Nothing is worse than not owning up to your actions. Constantly making excuses for poor performance or bad decisions only makes you seem weak. 2. “Know it all guy.” Knowledge is a great thing and should be shared. However, it’s best given without making others feel wrong. Enlighten people on new information a little at a time on their timetable. That’s the only way they’ll absorb it. 3. “Glory days guy.” My friends and I have a running joke that whenever someone brings up an old high school or college story we yell “Glory days!” and laugh. The point is that whether good or bad, you don’t want to live in the past (though the occasional high school football story is totally fine). 4. “Parade guy.” I use this term to describe a person that takes very little action but in the unlikely event they actually do something, want you to applaud them as if they’re in a parade. Taking action should be its own reward; if you’re only doing something for praise it’s not legitimate action. 5. “No lessons learned guy.” If you’ve done something repeatedly and continue to get the same unfavorable result, it’s time to read the writing on the wall and make some changes. 6. “Maybe guy.” When it comes to commitment you’re either in or you’re out. If you’re going to be in, be in 100% otherwise just say you’re out. People will always respect decisiveness. 7. “One-up guy.” This is a person that can’t be happy for any of your accomplishments. Instead they have to one-up every story you ever tell with something better of their own. 8. “Never reciprocate guy.” This is the person in your personal or business life that you continue to help and show up for. Meanwhile, they’re too busy to ever return the favor. 9. “Poor me guy.” Someone complains constantly about anything and everything epitomizes this guy. Stuff happens and life isn’t fair but it’s like that for all of us and we’re not complaining. 10. “Drama guy.” This person always seems to be in battles with everyone in life. Log on to Facebook anytime and you’ll see numerous examples. It may seem like a great idea to share with everyone why you hate your boyfriend for the sixth time this week but it’s not. Seriously. Below is a list of common health “potholes” we all run into – physical, nutritional and mental. 1. Not exercising. If you’re not exercising it’s not a matter of it will catch up with you – it’s a matter of when and how bad. Get started exercising a minimum of 3 times per week for 20 minutes right away. 2. Eating poorly. This just in: eating badly is terrible for you. So bad in fact we don’t have the room here to discuss it. Start with small changes toward better eating and notice how much better you feel. 3. Not letting go of anger. Holding on to anger is like trying to beat someone in boxing by punching yourself in the face. I encountered someone last week that got so angry over something so minor that I felt bad for them. Letting go of your anger doesn’t make you weak, it allows you to move forward and enjoy life. 4. Always waiting for the “right” time. Waiting for the perfect time to begin going after a goal is a sure way to never achieve it. There is never a perfect time, get going. 5. Being reactive rather than proactive. You can either wait for your body/life to break down and then worry about it or you can actively work to improve it now. If you’re proactive you’ll always have better and more enjoyable options. 6. Not building your own confidence. Everyone builds confidence differently but we all need it. Personally I rely on great people around me, competing in races, daily physical activity, public speaking and the success I have with patients to build mine. 7. Focusing on emotions too much. There’s a quote I love – “behind your feelings is nothing, but behind every principle is a promise.” The point is that people often lose sight of what they truly want because they’re focused on how they feel in the moment– tired, sad, etc. Center yourself on your desired outcomes rather than your short term feelings. 8. Not making time for you. Carving out at least a small piece of time for yourself on a daily basis is crucial for recharging your mind. I enjoy working out, writing this blog and reading before bed for my “me” time. You’ll find taking time for yourself will only enhance your personal and family relationships. 9. Living in the past. We all have a ledger that contains both triumphs and defeats. However, what has happened to us is not as important as what we’ll do about it. Smile at your past successes, let your failures toughen you up but move forward with an open mind. 10. Neglecting your spine. As a chiropractor I’m adding this one because I see so many people in pain on a daily basis as a result of spinal neglect. Your spine protects your spinal cord and nerves so as your spine becomes unhealthy, so too will those neurological structures. Treat your spine like your teeth – get regular checkups and take care of it daily (stretching, exercise, etc.). Later this week I’ll compete in an ultra marathon, one of my most challenging events yet to date. As the race approaches, it has gotten me thinking about why I like to compete and why I think it’s beneficial for others to do so – whether it’s a small local event or something much tougher. Today I’ll highlight 6 reasons you should consider signing up for something in the future. 1. Everyone needs a goal. Having a goal is good but having an actual date on the calendar you need to be ready for is even better because it will keep you from slacking. About a year ago after not running longer than 3 miles or competing in any races for 2 years I went on a 7 mile trail run. Within 3 days of that run I had signed up for 3 races including a 24 hour event. I realized on that run how badly I missed having a goal to shoot for. 2. Begin down a healthier path. Once you sign up for an event you’ll notice you’re more willing to make healthier changes. These may include changing how you eat and drink, how you think, ridding yourself of bad habits, committing to getting out of pain or any number of other things. Many of the most profound changes start with a simple catalyst. I’ve been studying exercise, nutrition and better ways to care for the human body for a long time and some of the most valuable information I’ve obtained came while preparing for an event. 3. Raises training intensity. Whether you’re looking to shed some pounds or are an Olympic hopeful, having something to train for will instantly make your workouts more intense and beneficial. I’ve had many days where I only feel like running or training for a short time and want to call it an early day. However, with an event looming I always find the will to keep going because every workout seems to matter more. 4. Inspire others. Everyday people don’t often think of themselves as inspirational however it’s likely that many of your friends, family and co-workers will identify more with you than anyone else. Enter an event and I promise you that you’ll motivate someone else to do the same. A big inspiration for me is seeing how excited my children get when I finish an event and the questions they ask me about it. Setting an example for them is important to me. 5. Stretch your comfort zone. Competing in a strenuous event (that term is relative to the individual) forces you to face adversity both mentally and physically. Successfully dealing with that adversity during a race will carry over into your everyday life and make you more adept at handling challenges. Being cold, tired and uncomfortable in my races has made me more comfortable whenever I encounter obstacles in my personal or business life which has made a tremendous difference for me. 6. Sense of accomplishment. Confidence is king. One thing that can quickly build confidence is accomplishing a goal. Signing up for a race or event (especially one out of your comfort zone) and then completing it will create confidence and momentum in other aspects of your life. Calling upon recent athletic successes continues to make me confident and leads me to achieve loftier goals in my personal and business endeavors. Are you aware that the MOST compressive force you put on your lower back is the seated position? Feel the tops of your hips with your hands and then move toward the spine – from that area downward is where the majority of pressure goes when you sit. Over time this can cause significant health problems. Today I’d like to share 6 things you can do to help yourself avoid those problems. 1. Get up, stand up. Even small (30 seconds to 1 minute) breaks from the seated position can break the cycle of downward pressure. Try to stand up every 20 minutes or so even if only for a brief time, it will make a big difference. 2. Eat better. Poor nutrition will not only cause inflammation but will also weaken the spine. This makes you far more susceptible to lower back pain while sitting. Add in more fruits, vegetables and healthy foods (anti-inflammatory) while drinking less soda and sugary drinks and increasing your water intake. 3. Get to the core of the issue. The muscles that stabilize your spine are very small and deep. To activate them choose 2-3 exercises (you can search Google for core exercises) that you will commit to doing 4-7 times per week. My two favorites are “posterior pelvic tilts” and “bridges” which I do daily in less than 5 minutes. 4. Move it or lose it. Sitting in traffic and while at work is likely out of your control. What is under your control however is what you do when you’re not sitting. Exercise a minimum of 20 minutes per day 4 days per week so that your musculoskeletal system is strong and able to withstand the compression of sitting for so long. 5. Improve your work space. Switching to standing desks, getting a better chair, adjusting chair height, increasing the lower back support on their chairs (with a pad, etc) and altering the position of their keyboard and screen are just a few of the most common solutions my patients mention that have helped their backs while at work. If you think your work space isn’t ideal I’d recommend researching some tips for improving it. 6. Get adjusted. When your spine becomes misaligned even simple activities (such as sitting) may become increasingly painful. Additionally, misalignments that remain in the spine for months or years can lead to arthritic changes and damage. Regular spinal checkups are a simple way to prevent this from occurring while making you feel great. 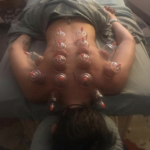 What is cupping? Should I try it? I hurt myself, is it muscle? How often will I need to come in? We would love to hear what you think - Review us!